Love this Fendi Mania Mini Me Unisex Blue Logo Zip-Up Top. 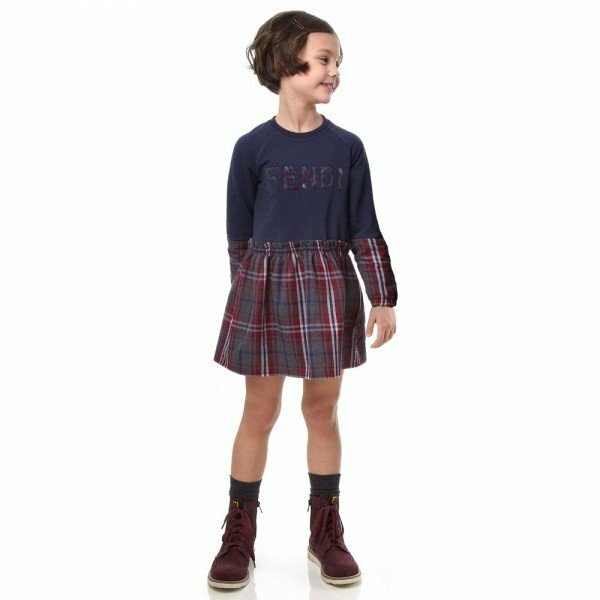 Your little one will look super stylish wearing a luxurious navy blue zip-up top for boys and girls by Fendi Mania. An exciting collaboration with sportswear brand Fila for Fall Winter 2018. It is soft and stretchy with raised vinyl logo and FF print on the back. Looks perfect with a matching pair of navy blue pants. Also comes in a shrunk downsize for babies! inspired by the Fendi Mania adult collection for men and women.